Colbert spends the entire interview with Joe Manganeillo discussing Dungeons and Dragons. 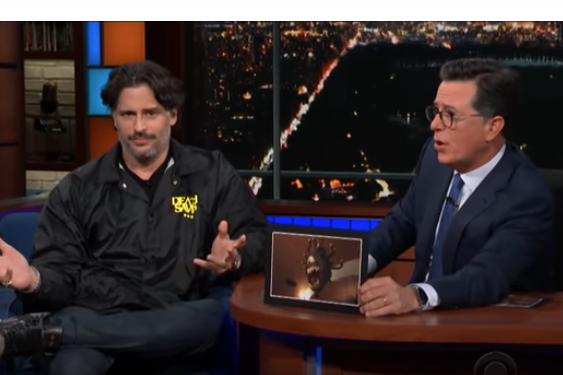 “The Late Show with Stephen Colbert” got rather nerdy last night when Joe Manganiello and New Jersey Sen. Cory Booker both admitted to being huge "Dungeons & Dragons" fans. Manganiello and Colbert compared older editions of the game to the newer additions, since Colbert mentioned he hadn’t played since he was in college. They mentioned a number of intricate D&D elements that the average person wouldn’t understand. Paladin? Oath Breaker? Tiamat? Meat grinder? D20s? But even if you don't know what a "hit point" is, Colbert and Manganiello’s bonding was so natural and endearing it was easy to look past the aspects that weren't easily understood. The D&D discussion even bled into Cory Booker's appearance. Shifting to politics, Booker and Colbert discuss Brett Kavanaugh's Supreme Court candidacy as well the upcoming midterm elections. “This is a time for Americans to participate,” Booker mentions in regards to the midterms.